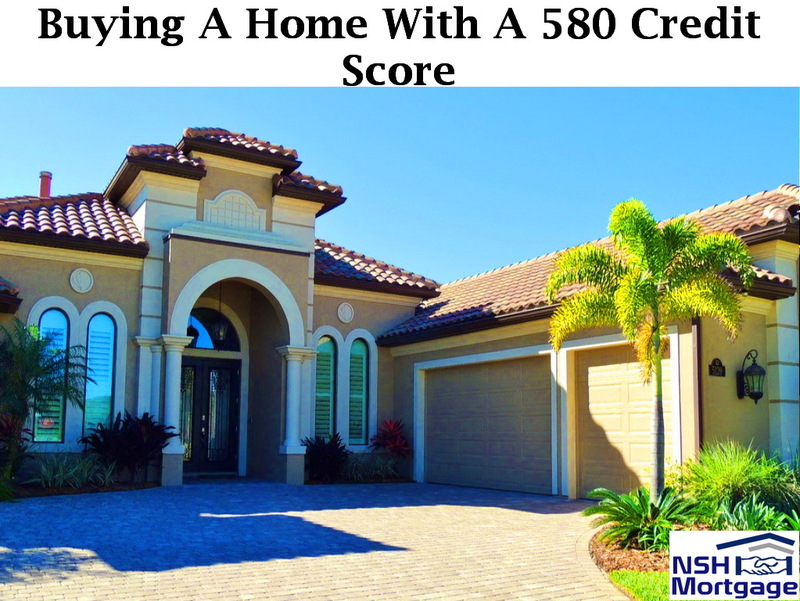 If you have a 580 credit score, buying a house can be a challenge. NSH Mortgage has the wisdom and tools to help you solve any issues with your credit. Furthermore, it may be frustrating, because while the FHA program guidelines allow a 580 credit score, the average FICO score of an approved FHA purchase mortgage is 686. But certain programs today allow you to become a homeowner despite lower credit. Officially, you can get an FHA home loan with a low credit score. That does not mean that you can get an FHA mortgage with bad credit. FHA allows you to get a 96.5 percent mortgage with credit scores down to 580, and requires ten percent down with a FICO as low as 500. However, the reason for your low score cannot be that you have burned creditors left to right. Here is what FHA guidelines state about credit score history. If a borrower’s credit history, despite adequate income to support obligations, reflects continuous slow payments, judgments, and delinquent accounts, significant compensating factors will be necessary to approve the loan. If your personal 580 FICO is the result of a tight credit history, like too many new accounts, or other relatively harmless reason, you can get an FHA home loan if you meet all other requirements. What Are FHA Compensating Factors? So if your credit history is not so great, what are these significant compensating factors that might benefit you? Savings to cover several months of payments if income is interrupted. These are not the only compensating factors, but they are probably the most influential. The average down payment for an approved FHA purchase loan is four percent, and the average mortgage payment equals 28 percent of the applicant’s gross income. On average, all monthly account payments for approved borrowers equal 42 percent of their gross income. If your FICO is significantly lower than 686, which is the average for approved FHA loans, your down payment and DTI should probably be better than average to get approved. While mortgage lenders are allowed to approved loans for 580 credit scores, they are not required to. Because lenders can set higher minimum credit scores for FHA loans, if yours is on the low side, you may have to contact more lenders. It makes sense to check with several FHA lenders and compare rates, anyway. Just because your FICO is 580 does not mean you should not get the best deal available to you. While the FHA program is relatively forgiving and inexpensive, not everyone can qualify for a home loan. There are other products for these buyers, like non-prime loans. These are not anything goes loans, but your 580 credit score can be the result of some bad decisions, and you can still get approved for a mortgage. Some products allow scores as low as 500. However, you will need a bigger down payment, so plan on having at least 15 percent or more if your credit is marginal. Plan also on paying higher fees and interest rates. One regional non-prime lender rates start at about six percent and goes up. Depending on your profile, and loan fees are about two points higher than FHA mortgage costs.